The postage stamps that Canada has issued throughout history and the modern age reflect the history of the nation, as well as important societal values and characteristics that make up Canadian culture. These aspects of the country are particularly prevalent in the special issue stamps that have been issued throughout the years. Sports of the 2010 Winter Games: Featuring five different patterns, these reflected Olympic disciplines and were to commemorate Vancouver hosting the 2010 Olympic and Paraolympic Winter Games. 1976 Summer Olympics: Issued to commemorate Montreal’s hosting of the Summer Olympics in 1976, these stamps began to run in 1973. 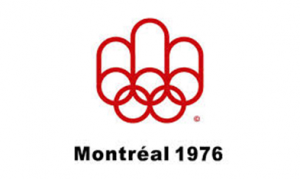 The first one featured a logo that was specially created for Montreal, depicting the letter “m” over top of five interconnecting rings. These stamps featured a surtax to purchase, with the additional funds going to pay for the Games. Postage Due – J stamps were available from 1906 until 1978 and denoted that the mail was being sent without sufficient postage paid. This meant that the postage due would be paid when the letter was delivered. Special Delivery – E stamps are from 1898 to 1946 and denoted an expedited delivery service. Other terms for it were express mail. There have been many other unique Canadian postage stamp issues that range from the original founding of the country all the way up to the present day. Treasure Coast Stamps has information on many different Canadian stamps, and can help you research and locate stamps for your collection.